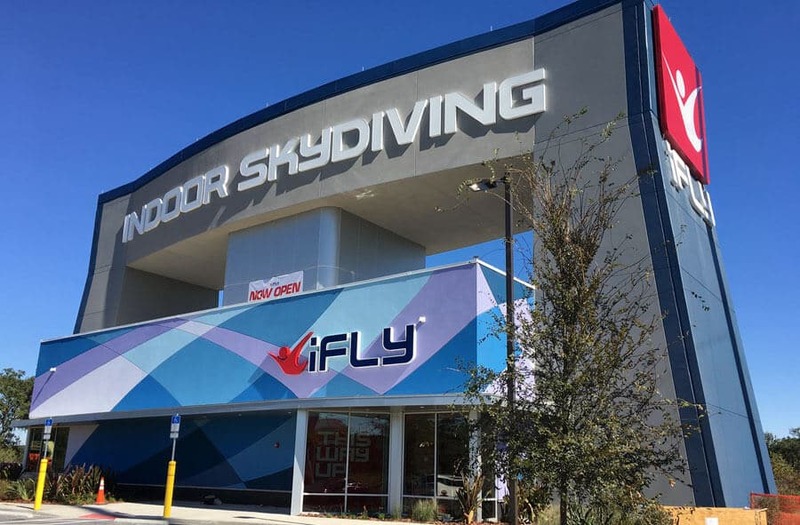 This location is a 14 foot single level iFLY facility in Tampa Florida. The project was announced as under construction by the Arco Murray Construction Company in late Jan, 2016 and opened to the public on November 21st, 2016. The project sits near a Top Golf location. Average rating of 4.2 from 10 review(s). Went here today (12.9.18) and had a blast!! Everyone was super friendly and especially our instructor, which I forget his name now but he is from Jersey. The educational video was short and informative and the entire process of getting "geared up" went smoothly! My husband and I really enjoyed ourselves! On the second go around my husbands back was bothering him so I took his turn and had over 2 minutes in the tunnel- SO fun! I did feel a little dizzy towards the end and our instructor so graciously brought me a bottled water! I REALLY wish there was a way to tip the instructor on your card. There was a tip jar and we dont carry cash on us. If there was an option to add a tip at the end via card we would have loved to do that! Overall 10/10! Absolutely the worst experience I have ever had in a wind tunnel. We used to rent the tunnel at Eloy for an hour at a time and fly full combat equipment. If you like bouncing off the net with 35 MPH winds then this tunnel is for you. I spend 25 years in a Special Forces HALO team and understand the dynamics of free fall. Seriously if you were flat enough to get off the net they would not let you turn right or left. I got it, Im not a wind tunnel guru but their little flight show at the end should be with 35 MPH winds and see how special that is. I got more air going out of the parking lot on my bicycle. Don't waste your money if you have ever jumped before. Took the kids that have never done anything like that and they had fun, I will give them that. Wicked first flight at I fly Tampa. Instructor brad was great and would recommend if in the area check this out! Go leafs Go!!! First time flyer. It was a BDay gift. Staff was gr8 and watching others befor I went flying was great entertainment. My instructor answered all of the questions quickly and made sure all of us understood him. Will go again and showed my video to all my friends and posted it on Facebook. A group of us are going soon. Everything was on time for our first flight, then a fire alarm went off. No fire, however, this lasted an hour. No worries... our instructor, Shane, was hospitable and helped the time go by. Finally get to go up and it was an awesome, fun experience! My family and I had the most incredible time at iFLY Tampa last sunday!! From Catherine H. who was more than helpful, accommodating and super friendly at the front desk...... to our more than experienced Instructor Daniel L. who was brilliant, and had the best personality to boot! My mother was extremely nervous and almost backed out, but the staff made her feel immediately comfortable and gave her the confidence she needed. My mother was soon laughing and grinning from ear to ear!! 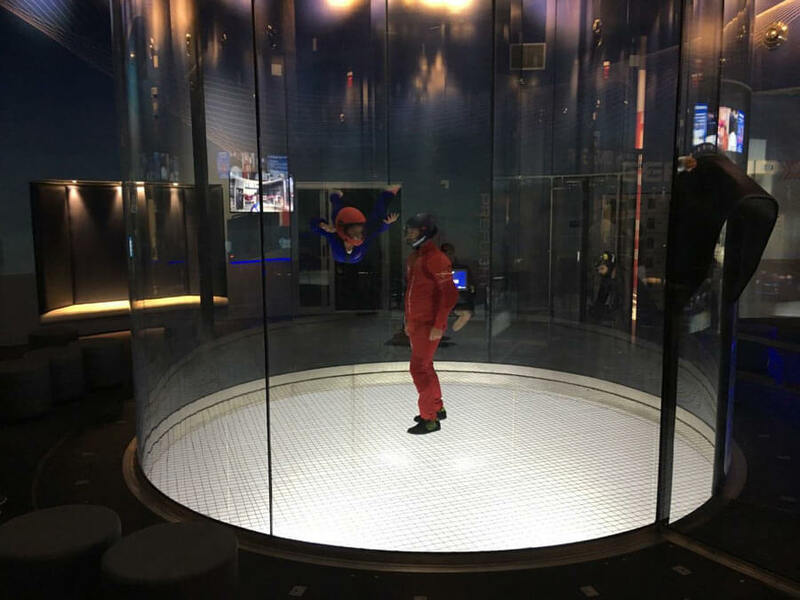 My entire family had such an exhilarating experience inside the wind-tunnel, but it was the iFLY Tampa staff more than anything, that will keep us coming back for more!! Already purchased more tickets and are looking forward to our next flight!! Me and my mom came in to just check it out. I've never seen my mom so excited like this, like a little kid in a candy store. So off a wim we said why not. Staff was great and professional and made sure we had a great time. We had a blast, so much fun. Seeing my mom so excited made my day, and it's truly fun. By the way my mom is 68 years old. Definitely let them take you up high, so worth it. The actual flying was an awesome time for the kids, but retrieving the videos and pictures we paid for was absolutely terrible. My 23 year old daughter convinced me to go and I'm so glad she did. Drew was our instructor and he was extremely informative, patient, helpful and most of all fun. We purchased a voucher for additional minutes to be used in the future. I can't wait to go back. If you are considering this even for a moment, DO IT. Well worth the $$.